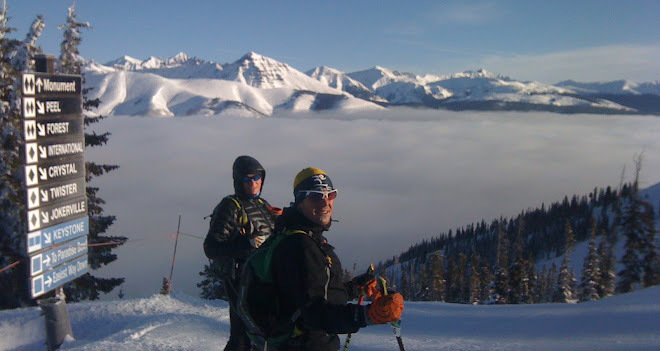 TEAM CRESTED BUTTE: If it looks thin, it's probably thin. If it looks good, it's probably thin. If it looks thin, it's probably thin. If it looks good, it's probably thin. 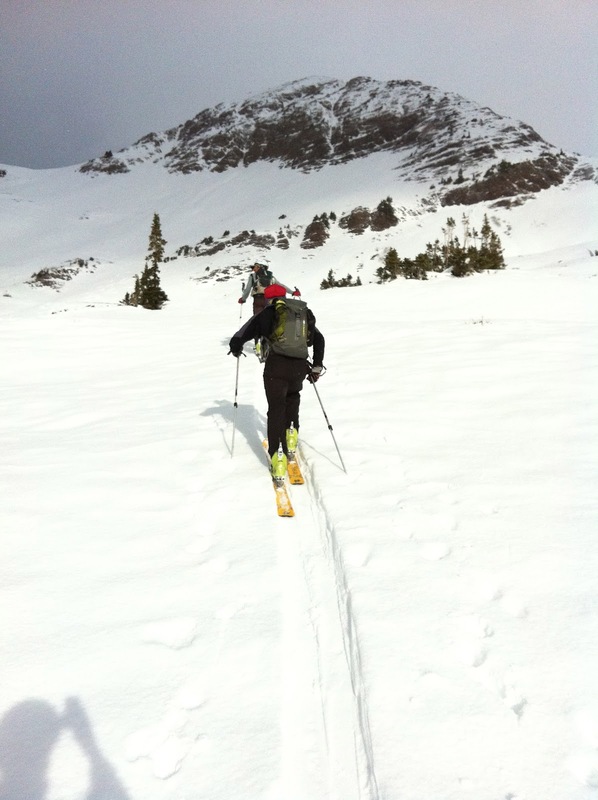 Early season reflections on backcountry skiing in CB. Yeah we are all chomping at the bit to get in the pow, but honestly its testing our psyche. It's November 17th and while it can often be hit of miss, we usually have one or two spots this time of the year that are giving you some pow turns. Back when it was "good" ...just prior to our first avy of the season on the North side of this shot...this was skinning up the South side. 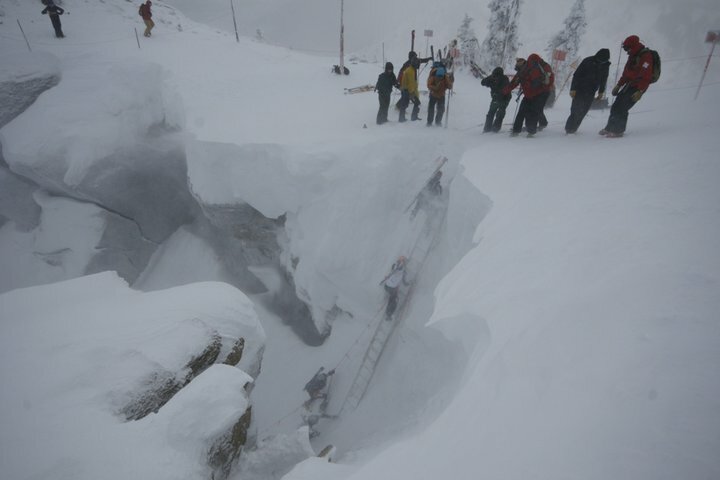 10 days ago we got about 12-20" up high and a group of six of us triggered the first known avy of the season. Classic North facing bowl with new snow resting on a thin layer of facets from a mid October snow, saw the whole bowl propagate 700' wide and ran to the ground. Our buddy was fine as it broke below his feet after skiing 8-10 turns. After that we have had mild, unseasonably warm & sunny temps which is killing the snow pack. Its still been an adventure to get out up high and do some ski mountaineering on refrozen, wind f*cked snow (even if its after work with head lamps)...the views are beautiful and its gets the fix we need, but its far from pow. 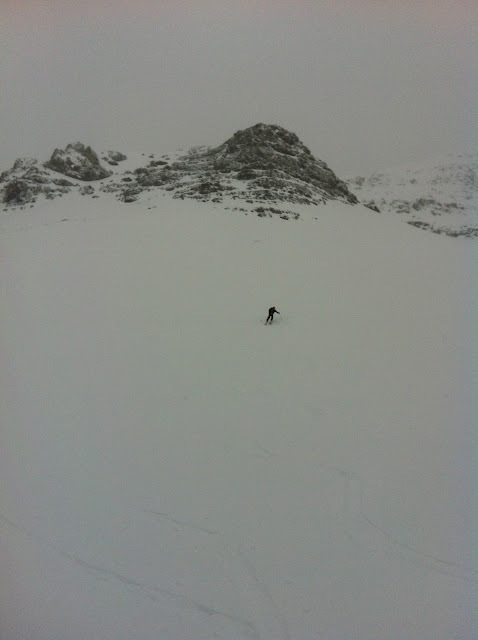 To make matters worse, this past weekend we had two days of sweet, low viz skiing. We had a weather front bring in some mid level clouds and create the dreaded "flat light", punchy, breakable crust....sweet. It just makes you a better skier right? Ugh! With the weather forecast for the next seven days calling for more of the same...its testing our patience. The ski area opens this Wednesday...so maybe its some early morning skiing on the ski area, and reconnecting friends who prefer the morning hike up the ski area. Hell, maybe we even get into skimo interval training mode. Yup...more sick flat light with 3' of new this past Sunday! Just enough to cover the rocks that you would have seen prior to the 3" of new, ugh. Make the best of it, and keep living the dream! At least we still live in the mountains!